Bishop & Doctor. Founder of the Redemptorists. Love of God requires acquiring and nurturing all virtues. 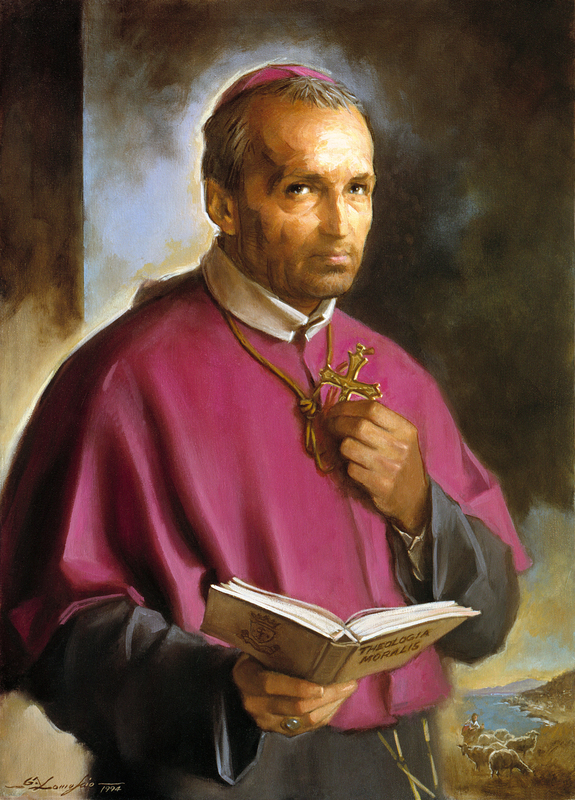 Born in Naples, Italy, St. Alphonsus (1696-1787) was a lawyer before becoming a priest. He founded the Congregation of the Most Holy Redeemer (RedemptoristS). He was given the title of Doctor of the Church for his writings on Moral Theology. A tireless apostle of the Eucharist and of our Blessed Mother, he worked with great zeal for the poor and the sick. A Happy Feast Day to all the Redemptorists and our sincere gratitude to you for your dedication and service to God and all souls! Below you have the 2nd Reading of the Liturgy of the Hours for today’s Memorial of St. Alphonse Maria de Liguori. 2. Love of God requires acquiring and nurturing all virtues. O God, who constantly raise up in your Church new examples of virtue, grant that we may follow so closely in the footsteps of the Bishop Saint Alphonsus in his zeal for souls as to attain the same rewards that are his in heaven. Through our Lord Jesus Christ, your Son, who lives and reigns with you, in the unity of the Holy Spirit, one God, for ever and ever. Amen.